From ancient Greece to the Victorian era and into modern times, vinegar and oil have been used for an infinite variety of purposes. This book explores the many varied applications of these wondrous substances, looking at their distinct properties, the range of types available and their uses as valued ingredients in medicinal treatments, household cleaners, beauty treatments, aromatherapy, as well as 130 irresistible culinary recipes for sauces, marinades, soups and desserts and everything in between. 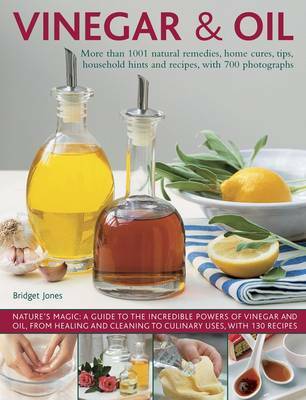 Illustrated with more than 700 beautiful photographs, this wonderful compendium explores the amazing versatility and health and household benefits of these magical everyday ingredients.